Editor’s Note: To embrace the change of the new year, our guest contributor Jennifer Nguyen is transforming her Feng Shui Friday weekly post into Fearless Friday! 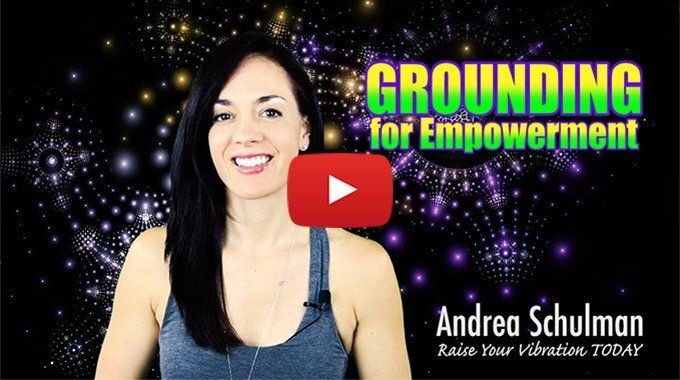 Check in each week to hear her take on how to live life without fear in order to raise your vibration and become more connected with your spiritual self. Did you know how we wear our hair is not only a “fashion statement” but also a true statement of who we are? Chances are with the fresh start that the New Year offers,you are currently in the process of change or want a big change. Now is a great time to change your hair to change your life! Who’s to say what hairstyle you should have anyway? As a licensed stylist of over a decade I am no stranger to helping others expose their light with a makeover! Over the years I have personally witness countless times the power a new look can have on someone. Here are a few ways you can change your hair to open up some positive changes in your life! 1.) Does your life feel heavy? If your life is feeling a little heavy and your craving things to be lighter, do yourself a favor and cut your hair! Bad experiences and stress actually store negative energy in our hair. Cutting your hair releases stagnant energy and will stimulate the process of freeing you from the past. Being a longhaired girl myself I personally know this can cause a lot of anxiety. A few months ago I was feeling very confident, I was new and ready for a haircut that would make me feel more true to myself. The truth is I donated over twelve inches that day and felt amazing, I believe my high vibe over my new look was contagious because I got a ton of compliments and he loved it! I’m not suggesting you run out today and make such a drastic change but I am suggesting that when you cut your hair you do it for you and not based on the reaction of others. Most of us (including myself) become attached to our hair over a long period of time; remove some of the shock value by trying a new look gradually. 2.) Are you feeling like the color has faded in your life? Color is a manifestation of vibration, so you can literally “Raise Your Vibration” by changing your hair color! You don’t have to make a radical change to your hair color to transform your energy. Easing into it will offer a more comfortable experience. You WILL have to get out of your comfort zone as fear wants you to stay the same, love wants you to paint the town (in this case your hair) red! Playing with new hair colors can be fun, color directly effect our mood and can instantly brighten up our soul! If you follow me on social media you know just last Summer I went fearless and dyed my hair violet! It was a major boost to my energy levels! Now that vacation is over and I’m back at work I’ve opted for some highlights because the blonde reminds me of those summer vibes and keeps me feeling upbeat during the colder months. Make that salon appointment today, who knows where it will take you in life! 3.) Is your life feeling outdated or boring? If you’re not ready to commit to a new cut or color but are craving a hair transformation try a new style or accessorize! We all know it to be true that when we have a special occasion the first thing we do is book a special up-do. Why not treat everyday like a special occasion? You don’t need to be a professional to practice perfecting an up-do that makes you feel like a goddess (or a god with a man bun;), keep it simple and modern with a bun or ponytail. If you have straight hair take the time for you to put in some curls or straighten it if it’s naturally curly. As a busy girl it’s important to find fast ways to transform “bad hair days” so you can put off and attract high vibes. Enjoy the process of celebrating your style and don’t get caught up in the fear of “fitting in.” Try that new hair garland your hippy heart has been admiring, splurge on those embellished hairpins or pick a flower to place behind your ear for an instant mood booster! The bottom line is society has been feeding us fear based lies about our “beauty” for years. Woman shouldn’t have long hair after thirty, short hair is for boys, and your roots should never show, I could go on for days but the truth is some rules were meant to be broken! Be a rebel when it comes to your hair and do what makes your soul shine! When you are true to yourself you attract the right people and success that will lead to your highest self! Do you love learning about conscious living? If you liked “Fearless Friday: Beauty Rebel” you might also appreciate a membership with Raise Your Vibration Today. Learn more about conscious living, the Law of Attraction and how to create your reality with the power of your thoughts. Click here to learn about our membership options. You can also subscribe to our newsletter to receive more short articles like this one! Jennifer Nguyen practicing yoga on the beach near Cocoa, Florida. About Jennifer Nguyen: Jennifer is a licensed stylist, performer and yoga guide. She’s always had a passion for being physically active and exposing the light in others. Follow Jennifer on Instagram @Zennylynn or check her out on Facebook!